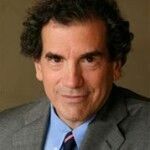 Roberto Suro examines immigration with an emphasis on the Hispanic population, U.S. immigration policy, and U.S. public opinion regarding immigration — as a researcher, author, and journalist. His books include Strangers Among Us: Latino Lives in a Changing America, (Vintage, 1999), Watching America’s Door: The Immigration Backlash and the New Policy Debate, (Twentieth Century Fund, 1996), Remembering the American Dream: Hispanic Immigration and National Policy, (Twentieth Century Fund, 1994). He is also the author of numerous book chapters, reports, and other publications. Suro’s latest book is Writing Immigration: Scholars and Journalists in Dialogue (U of CA Press, 2011) co-edited with Marcelo Suarez-Orozco and Vivian Louie. Read more. Expertise: Election 2016; Latino public opinion and voting behavior; Hispanic demographics; Spanish-language media in the U.S.; national, international and Washington print journalism; portrayal of Latinos in media; immigration.